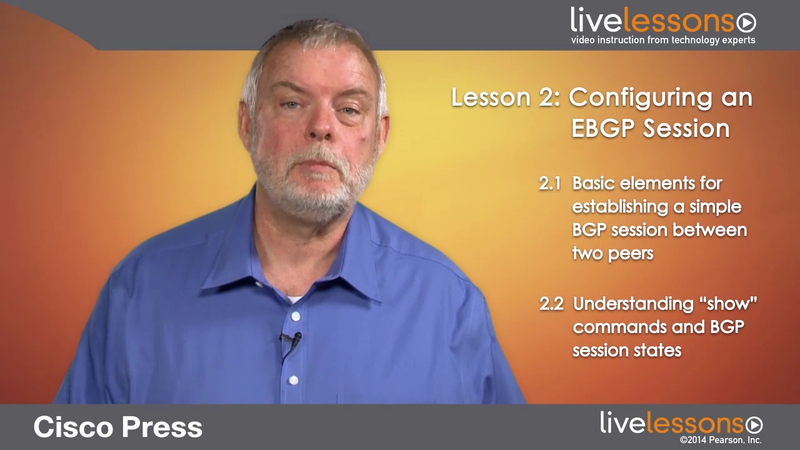 The basic elements required for establishing a simple BGP session between two peers in different autonomous systems are introduced, followed by a demonstration of the configuration commands using those elements. Peer groups and session authentication are also introduced and demonstrated as a standard BGP best practice. With the session established, the various “show” commands for observing the session are demonstrated. Finally, the BGP session states are introduced and the session is re-established with debugging used to observe a peer stepping through the states as the session is established.